UPS & FedEx: services include: Ground, Next Day Air, 2nd Day Air, 3Day Air, and international shipping. We also gladly accept all UPS and FedEx prepaid dropoffs at no charge. Shipping Supplies: we stock over 140 different box sizes as well as a variety of padded envelopes, bubble wrap, shipping peanuts, and newsprint. Packing Services: with over 20 years of experience in shipping fragile and valuable items, we have the materials and skill to get your items to their destinations safely. Black/White Copies:10¢ for a single-sided page. Mail Courier Pickup: daily, 2, or 3 times a week. 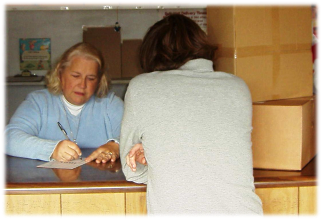 Mailbox Rentals: 24/7 door access; USPS, UPS, and FedEx daily deliveries.